NEW YORK, NY--(Marketwire - April 26, 2010) - Talisker®, the famed single malt Scotch whisky from Scotland's Isle of Skye, today lends its name to the first authentic recreation of one of the greatest open boat voyages ever undertaken. 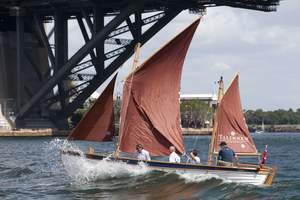 Today marks the official launch of the Talisker Bounty Boat expedition, when the four-man international crew will bid farewell to family and friends as they prepare to set sail from Sydney, Australia. The Captain of the Talisker Bounty Boat, Australian Don McIntyre, is a veteran adventurer who has carefully selected his crew from countries around the world. Together they will embark on one of the most extraordinary stories of survival and sheer determination -- Captain William Bligh's 4,000-mile open boat 'Mutiny on the Bounty' voyage. Other crew members include David Wilkinson (United Kingdom), David Pryce (Australia) and Chris Wilde (United Kingdom). The reenactment of one of the most iconic expeditions in nautical history will start on April 28th, the same day and from the same location as the original mutiny journey 221 years ago. The crew will leave Sydney today to travel to the starting point to begin the Expedition and will then continue their journey across the Pacific from Tonga to Timor. Not content with just taking on this huge challenge, McIntyre and the crew are also attempting to raise over $250,000 for The Sheffield Institute Foundation for Motor Neurone Disease (SIF), which is building the world's first research Institute for Motor Neurone Disease, Parkinson's and Alzheimer's. McIntyre does not underestimate the challenge ahead: "We're incredibly excited to launch the Expedition today, leaving the city and our loved ones bound for the starting point. We will be getting close to the experience of Captain Bligh and his crew; however everyone aboard the Talisker Bounty Boat will be pushed to the limit of endurance and survival, forever hungry and unsure of everything, except their own desire to fight through this." The voyage is sponsored by Talisker, the only single malt whisky hailing from the Isle of Skye. Talisker is part of the Classic Malts Selection™, a portfolio of single malt whiskies representing all the major flavor profiles and regions of Scotland. Talisker reminds all adult enthusiasts that when sipping Scotch and other spirits to always enjoy them responsibly. To follow the expedition and donate to this cause, visit www.taliskerbountyboat.com. Diageo is a global company, trading in more than 180 countries around the world. The company is listed on both the New York Stock Exchange (DEO) and the London Stock Exchange (DGE). For more information about Diageo, its people, brands, and performance, visit us at www.diageo.com. 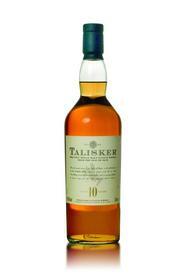 Talisker 10-Year-Old, the famed single malt Scotch Whisky from Scotland's Isle of Skye.